The original Pine A64, hailed by many as a “Raspberry Pi killer” during its Kickstarter campaign, shipped to backers back in 2015. Unsurprisingly the new board didn’t kill off the Raspberry Pi. But, unlike a lot of companies that have tried to ship a Raspberry Pi killing board in the past, PINE64 have stuck around, shipping new hardware and their first laptop back in 2017. Then, last year at FOSDEM, we saw two new boards. It now looks like they might be making a habit of using FOSDEM for making new product announcements, because they did it again this year. But this year there was a lot more, they went ahead and announced a whole new product lineup. 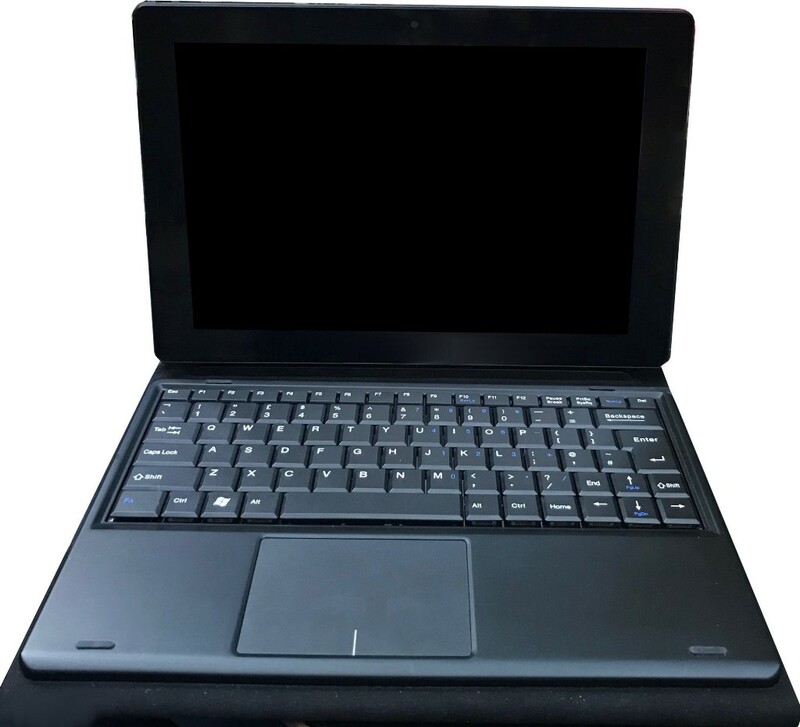 The original Pinebook had a few problems, especially the 11-inch version of the laptop which had a some issues around the screen. But it was never meant to be a replacement for your day-to-day laptop, and a lot of the problems that people were complaining about were down to that. I’m not sure what people thought they were buying for $99, but it obviously wasn’t going to replace your main computing platform. But at FOSDEM this year PINE64 announced a new laptop, this one called the Pinebook Pro, with a target price point of $199, they are describing it as “a compelling alternative to mid-ranged Chromebooks that people convert into Linux laptops.” In other words, they’re suggesting that this one could well be used to replace your everyday laptop. Like the RockPro64 board they released last year, the new Pinebook Pro is powered by a Rockchip RK3399, a hexa-core SoC consisting of a dual-core ARM Cortex-A72 alongside a quad-core ARM Cortex-A53. The laptop has an IPS 1080p 14-inch LCD panel, 4G of LPDDR4 RAM, and 64 or 128GB of eMMC storage onboard. All wrapped inside a magnesium alloy case that’s curiously reminiscent of the externals of the early MacBooks. The Pinebook Pro also has an SD Card slot, something that’s achingly missing from more modern MacBooks, a 2 mega pixel front-facing camera, 802.11ac WiFi and Bluetooth 4.2 support, both USB 2.0 and 3.0 ports, digital video output via USB-C up to 4K60hz, and 4 × PCIe slots that can take a m.2 NVMe SSD using an optional adapter. It also comes with an Audio aux out port which in doubles as a UART serial port in the same fashion as it did with the original Pinebook. Also officially announced at FOSDEM was the PinePhone development kit. 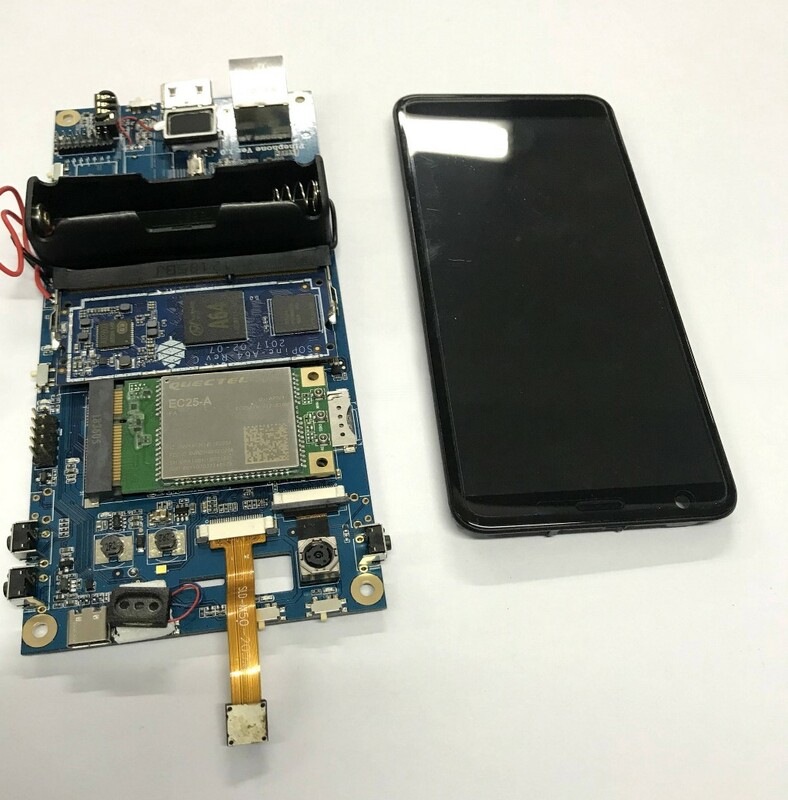 There have been a lot of rumours about PINE64 producing a Linux based smartphone, and it looks like they were correct. However it wasn’t a phone that got announced at FOSDEM, at least not an “end user” device intended for consumers, but a development kit. 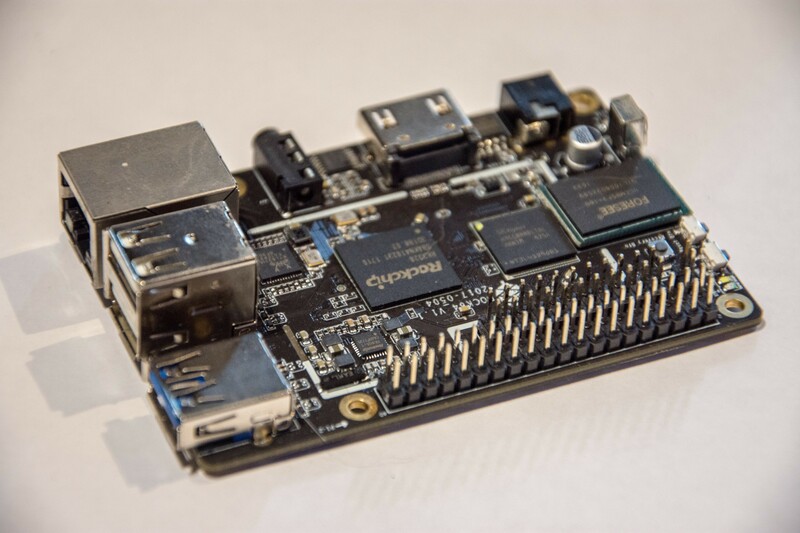 The PinePhone dev kit is based around PINE64's SOPINE module, a Raspberry Pi Compute Module competitor, which is built around Allwinner A64 and has 2GB of LPDDR3 RAM, a 4G LTE module with Cat 4 150Mb downlink, a 1440×720 LCD and an 18650 battery. The goal of the project is to eventually provide an open, upgradable, modular phone running mainline Linux, with a target price of around $150. If you’re interested in picking up a kit they will be available to “interested developers” sometime in the next month or so, but there’s no word on the schedule for a final consumer-focused PinePhone. Alongside the laptop and the phone development kit was a tablet. Like the company’s original board, and their SOPINE modules, the tablet is built around the Allwinner A64 system-on-chip with a configuration that is very reminiscent of the original 11.6-inch Pinebook. 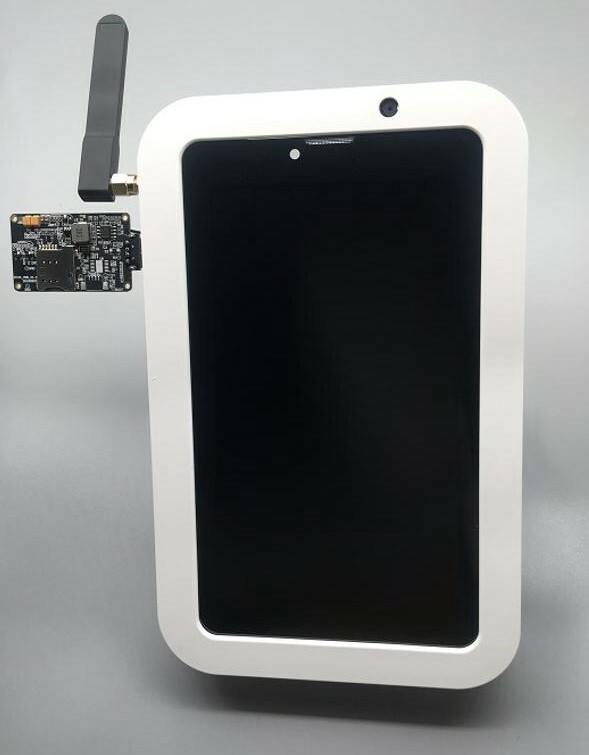 The PineTab will have onboard Wi-Fi and Bluetooth 4.0 support, and will have 2GB of LPDDR3 RAM, and 16GB of eMMC. There will be a 2MP front-facing camera, along with a 5MP rear-facing camera on the 720p IPS 10-inch LCD screen with an option of a magnetically attached keyboard. The PineTab prototype shown by PINE64 at FOSDEM this year is “nearly complete and production units should start rolling off of the factory floor soon.” The target price for the PineTab plus keyboard is $99, although you should be able to pick u the tablet on its own for $79. 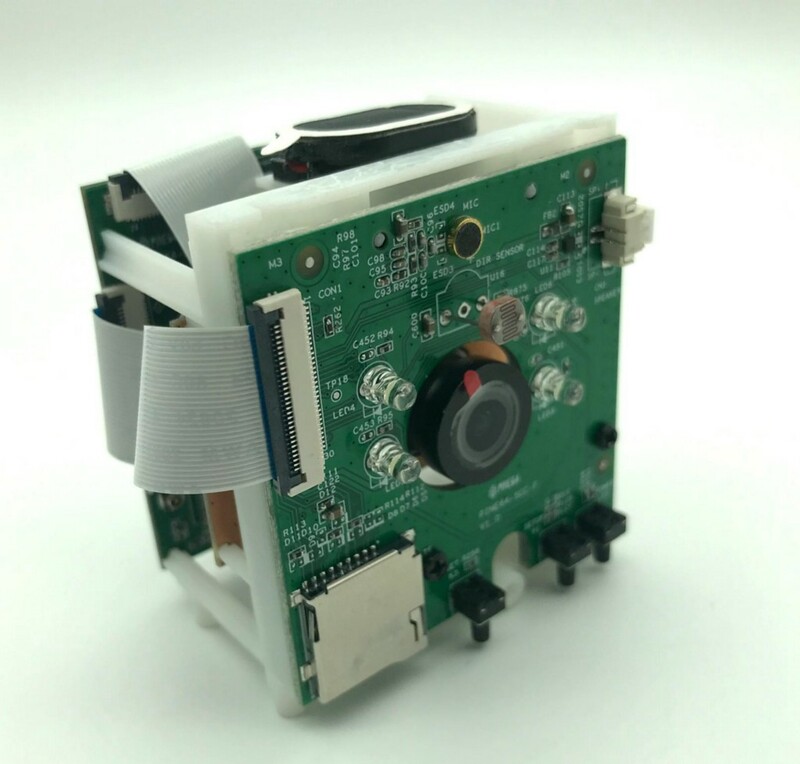 Built around a Allwinner S3L, an AMR Cortex A7, with 64MB DDR2 of RAM, and 128MB of Flash, the Cube IP Camera has a standard m12 mount allowing you to swap in standard lens, and a Sony CMOS iMX17 8MP image sensor. The camera also has onboard IR LEDs, a microphone, and an 10/100MB Ethernet socket on board with Power-over-Ethernet support, and built-in Bluetooth and Wi-Fi. It has a target price of just $20. The original Pine H64 was one of the two boards PINE64 announced at last year’s FOSDEM, and the new Model B is intended as a replacement board. Like the original Model A it is built around the Allwinner H6, a quad-core ARM Cortex-A53 SoC with a Mali-T720 MP2 dual-core GPU capable of 4K60 playback and HDR. However the new model replicated the smaller Rock64 footprint, as well as mirroring it’s I/O layout, including the positions of the eMMC module, micro SD Card slot, and USB ports—which should mean that existing cases built for the Rock64 will fit the new Pine H64. Like its predecessor, the board comes in three variants and costs $25 for the 1GB version, $35 for the 2GB version, and $45 for the 3GB version. The original Rock64 board was released around the same time as the original 11-inch Pinebook back in 2017, and was built around the then new Rockchip RK3328 chip — a 64-bit Quad-Core ARM Cortex A53. PINE64 claims that it is “the most popular and successful board we’ve created” and the final product announced at FOSDEM this year was an updated version, Revision 3, of the board. The new version will add Power-over-Ethernet (PoE) support, a Real Time Clock (RTC), improved Raspberry Pi I/O compatibility, and various minor improvements like support for high speed micro SD Cards. Pricing will remain the same with the 1GB model priced at $24.95, the 2GB model at $34.95, and the 4GB model at $44.95. That’s a lot of new products to announce in one go. Over the last year or two we’ve seen the Raspberry Pi form factor starting to become a defacto standard for single board computers, much like Adafruit’s Feather has for micro-controllers, and while they’ve only made minor revisions to their existing SBC hardware—the new Rock64 board—it’s interesting to see PINE64 converge their SBC line towards a single footprint with the update to the Pine H64, and for that footprint to be the Raspberry Pi. 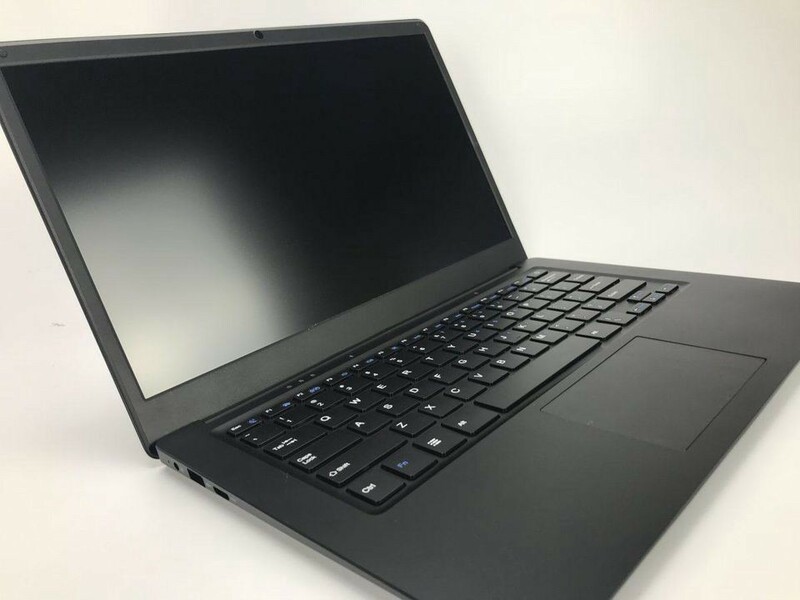 However it’s the arrival of a new high-end Pinebook, along with the prospect of both a Linux powered phone and tablet, that’s perhaps the most interesting thing going on here, and it’s going to be intriguing to see how PINE64 gets on. Despite the known problems, I was actually pretty impressed with the quality of the original 11-inch Pinebook and I’m looking forward to seeing what they do with the new hardware. Although they need to bear in mind that if they’re advertising the new Pinebook as a “premium” product, people are going to be a lot less forgiving about build quality problems. New Hardware from PINE64 was originally published in Hackster Blog on Medium, where people are continuing the conversation by highlighting and responding to this story.